This is another method to make the famous Andhra way of making a lentil vegetable stew with Tamarind base. 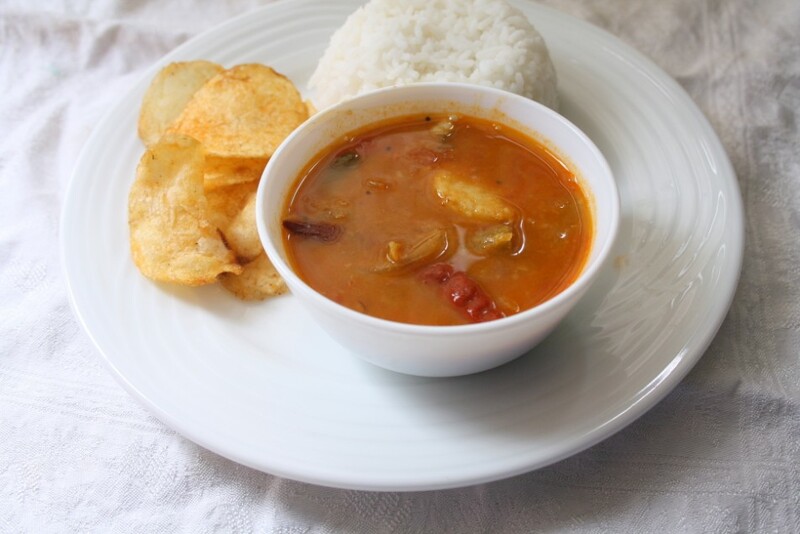 Normally the pappu charu is not that sour but mildly made using tamarind, however in this method Amma makes use of little more of tamarind pulp that renders a little more hint of tamarind in the gravy. Pulusu is anything that’s thin in texture and we normally use tamarind in the base. Some years back, Pappu charu was the default Sunday night comfort meal. 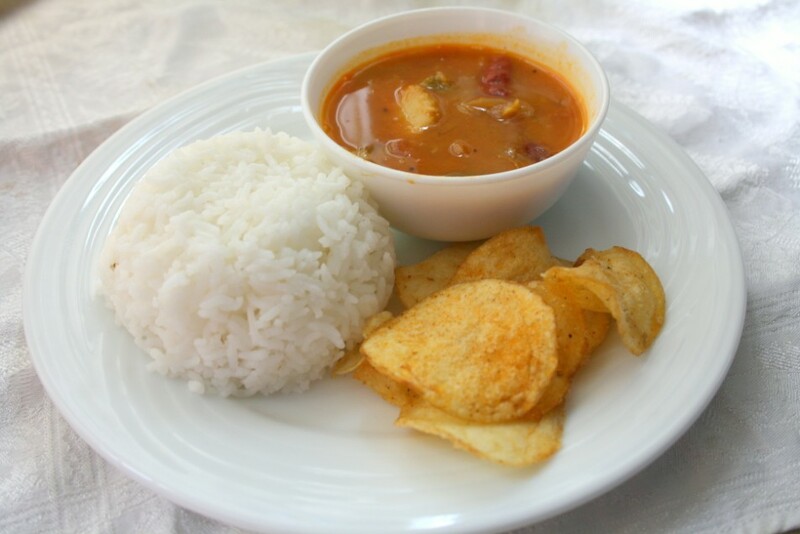 After the hectic lunch preparation, it was this mild simple comfort food. This is was my lunch when I had made a different menu for the family. I paired it with Hing and red chilli powder seasoned potato chips. Tamarind pulp – 1 lemon size. Wash and cook Arbi till done. Arbi can be cooked in a pan of water or in microwave. Once cooled, peel skin and chop into rounds of 1″ thickness. Chop drumstick into small pieces. Microwave for 5 -7 mins in microwave. Prep the snake gourd and wash well. Chop into small pieces. Snake gourd can be cooked in the gravy itself. Keep all the vegetables aside. Pressure cook toor dal till done with turmeric and few drops of oil. Keep it aside. Heat a pan with oil, add mustard, urad dal, curry leaves. When the mustard pops add the finely chopped onions. Saute till the onions turn colour. Add green chilies, red chilies. Saute for couple of minutes. Then add finely chopped tomatoes. Add salt, turmeric powder, simmer till the tomatoes turn soft. Then add the vegetables, saute in oil for couple of minutes. Next add the red chilli powder, followed by the tamarind pulp. Add 1 cup water and bring to boil. When it starts boiling, simmer and cook with lid covered for 15 mins. Check out how to boil Drumstick, Arbi, Potatoes in Microwave. That's exactly how we make at home and my plate looks exactly like that with the potato chips.. Tangy, spicy, crunchy–yummy..
Good combination of vegetables in one shot. Its been years that I made this Pappu charu…urs look perfect. this is new ..wats the diff between this n sambar?…the basic ingredients r the same..rt? looks very simple but extremely yummy!! Looks super delicious and inviting..
VaishaliIf you noticed I didn't use the sambar powder in this. Basically this is the difference. 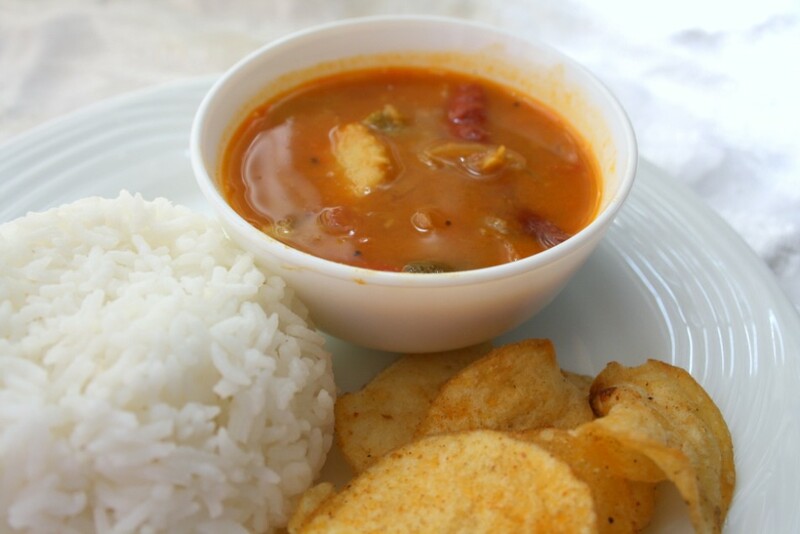 Sambar is littler thicker than this, while this ought to be on the lines of Rasam..:)..very slight changes but so much difference in taste. Nice variety! I should give this Andhra style a try cause it certainly looks way simpler than the TN variety! A marvelous stew! Great flavors and texture. Looks really awesome, perfect answer for that 'what to cook today?!' question.